Ever since childhood, I’ve always loved the stories of King Arthur, of Merlin and the Lady of the Lake. I loved the tales of swords proclaiming kings, of beautiful and powerful women living on mysterious islands bestowing great gifts, of sorcerers and magicians that could both give rise to and destroy kingdoms. This love has never left me, though it has changed and developed the more I learn about these tales, and the land upon which I live. 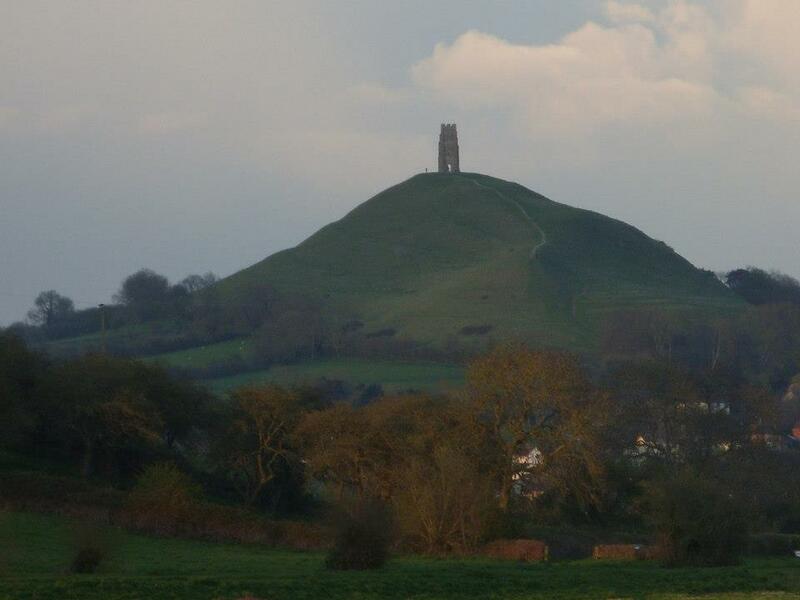 One of the things that has always captured my imagination, and always will, is Glastonbury Tor. It is a wonderful place, a place of great beauty and incredible mystery. For me, it is one of the holiest places in Britain. The landscape is unlike anything I’ve ever seen – rising out of the flat, drained Somerset levels is the Tor. From a certain angle it looks like a woman lying down. The Tor itself is a marvel, for carved into it are plateaus, in what appear to be a labyrinthine pattern rising to the summit. On autumn and spring mornings, often the mist obscures the ground, and the Tor rises out of mist – we could easily believe we have been transported back to the Avalon of old. What is inside the Tor is equally fascinating – the White Spring. It is widely believed that inside the Tor is a large carvern, where the White Spring emerges, eventually making its way down into the town of Glastonbury. Old records mention of a time when a small hole appeared in the top of the hill, and when things were dropped down, it took a long time before a splash was heard. The White Spring was redirected and made inaccessible in the Victorian era, a large pumphouse created to supply the town and cutting off access to what was once a beautiful little spot where the spring emerged, calcifying everything around it, giving it a fey quality. Thankfully, in 2005 the White Spring Trust re-opened the disused pumphouse and has turned the small caverns, rooms and interiors into separate sites where one can once again pay tribute and honour the spirit of the White Spring. Two monasteries or churches were built on the Tor in the Christian era – the first destroyed, I believe, due to the Tor itself shifting, causing the building to collapse. Was the previous pagan site revolting against this new religion? Or was it the sand and limestone ever shifting, finding a comfortable place to rest for the next 500 years? All that is left on the Tor now is the tower, St Michael’s Tower. The rest of the building was destroyed in the Reformation. 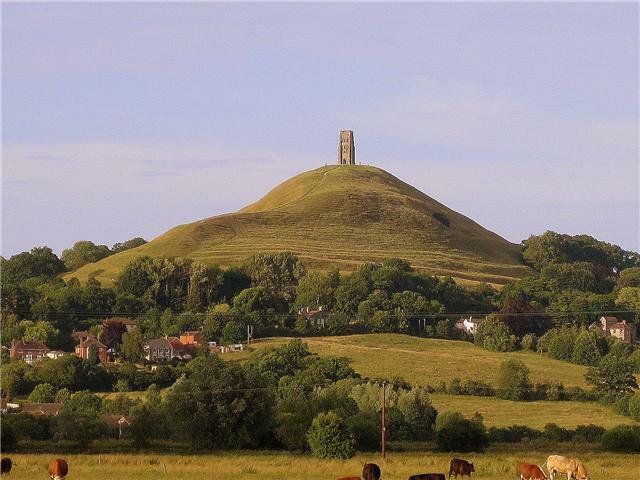 I both like and hate the tower atop the Tor – it looks beautiful, standing there all alone, a kind of spiritual trig mark; I hate the fact that anything mars the natural beauty of the Tor, and do think that the tower one day will also collapse, as nature reclaims her own. Smaller hills surround the Tor, Chalice Hill and Wearyall Hill. Chalice Hill is said to the be source of the Red Spring, which flows down again like the White Spring to Glastonbury Town, and has the most beautiful gardens built around it. For a small fee, one can enter the gardens and see it in all its glory (unlike the White Spring, which is free). It was said that the Red Spring ran beneath a grove of Yew Trees, the iron rich water reflecting the blood red sap of the yew. The Springs are perhaps the most significant thing about Glastonbury – White and Red, the colours of the Otherworld. From two separate yet very close sources, these two very different springs come down to Glastonbury and are separated by the smallest of distances – I’m certain that at one point they ran together, but now I believe a street is blocking the union of the two springs. Perhaps one day they will run together again. The Tor, rising out of the watery levels, connected the Three Worlds of Land, Sea and Sky. The Red and White Spring issued forth from the fairy mound, the Gateway to the Otherworld. The labyrinth way to the summit of the Tor was the spiral of life. This is only a taste of the wonders that very special place – what a magical place! Is it any wonder why I chose it at the setting for my latest book, The Isle of Apples?